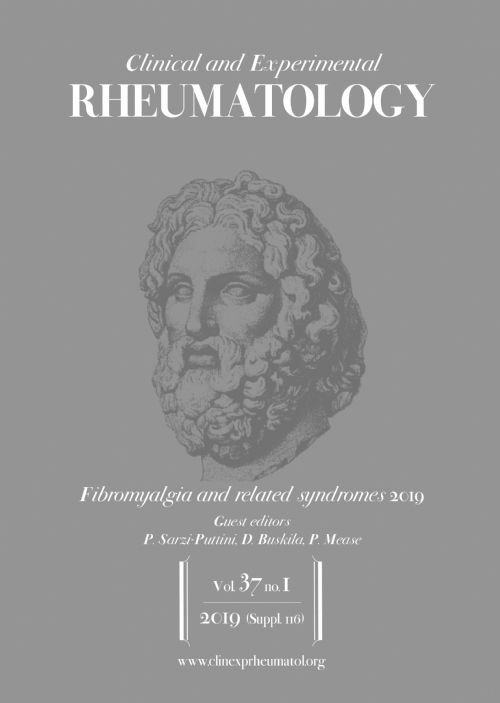 Clinical and Experimental Rheumatology is a bi-monthly international peer-reviewed journal which has been covering all clinical, experimental and translational aspects of musculoskeletal, arthritic and connective tissue diseases since 1983. Articles submitted on these topics are processed with the same peer-review criteria as those published in the regular issues. Once accepted, they are published ahead-of-print online, and subsequently included in the correspondent supplement issue, unless otherwise expressly requested by the Authors. Letter to Editor Rheumatology: Commentaries and Controversies (LER) has been an online forum for a stronger voice and a wider audience for critical and dissenting views in rheumatology and related disciplines. It has joined forces with Clinical and Experimental Rheumatology to achieve the deserved wider audience. Letters can be submitted solely to: http://www.clinexprheumatol.org, please read Authors’ Guidelines. A page charge of €100.00 will be assessed for all articles published. Instructions for payment will be sent to authors along with the proofs. There is no charge for solicited articles. A unique feature of Clinical and Experimental Rheumatology - our six annual supplements. The hottest topics in clinical rheumatology discussed annually by the leading experts in the field. A unique regular supplement devoted to Behçet's Disease, familial Mediterranean fever and other Autoinflammatory conditions. Starting in 2009 a new annual supplement entirely devoted to this condition. Since 2009 a regular supplement devoted to the latest aspects in the management of fibromyalgia. Starting in 2018 a new annual supplement to shed lights on an emerging protagonist of the systemic autoimmune diseases.